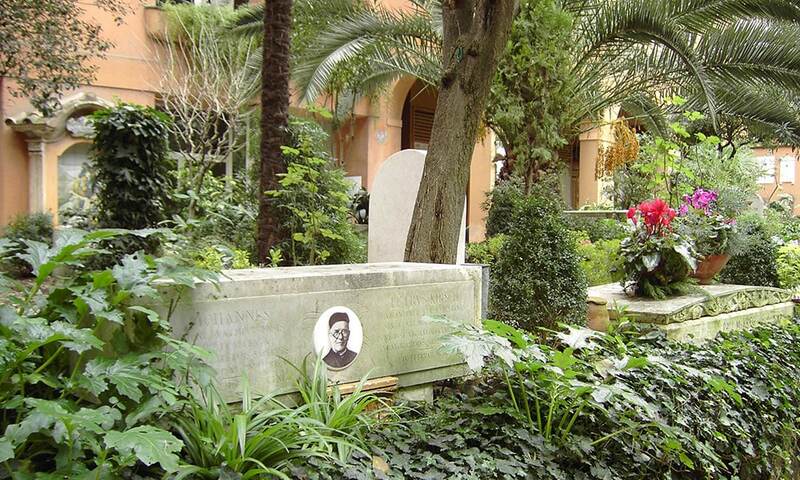 We also recommend a visit to the “German” cemetery within the Vatican Walls. 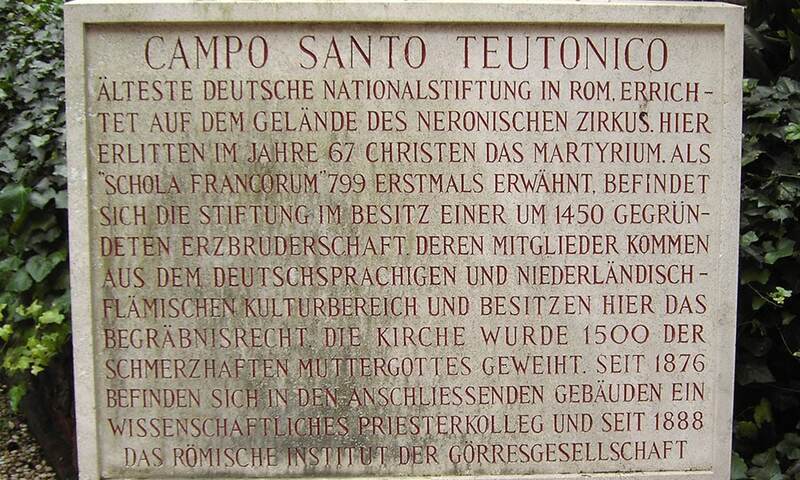 In the area of ​​today’s cemetery, on which Germans, Austrians, Swiss, Dutch and Flemish people are buried, a schola was founded in the 8th century, perhaps by Charlemagne, who continued to serve the poor, the sick and the pilgrims until the 14th century From the area north of the Alps took up.1454 founded the German -born Petrus Licht, Bartholomäus Dinstman and Johannes Lichtenfelser in the field of the former Frankenschola the “Brotherhood of Christian faithful souls and poor Christians.” The Brotherhood, since 1576 the name “Oath Brotherhood to the painful Mother of God the Germans and Flemings “is the owner of Campo Santo, where in 1876 a priestly college was founded, where priests and future priests live and study. 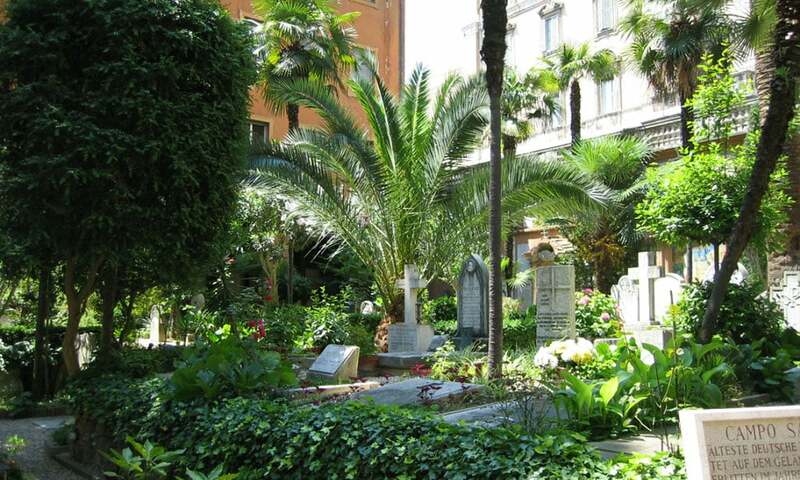 A year later, the Görres Society moved in with its Roman Institute of Archeology and Christian Religious History. 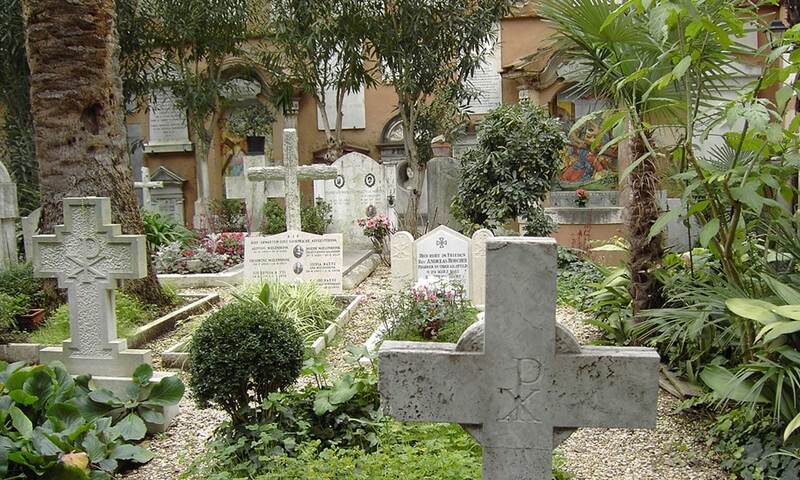 In the cemetery, among others, the artists Joseph Anton Koch, Wilhelm Achtermann, Paul von Rhoden and Friedrich Overbeck, archaeologist Ludwig Curtius and Princess Carolyne of Sayn-Wittgenstein, the life companion of the composer Franz Liszt, buried. 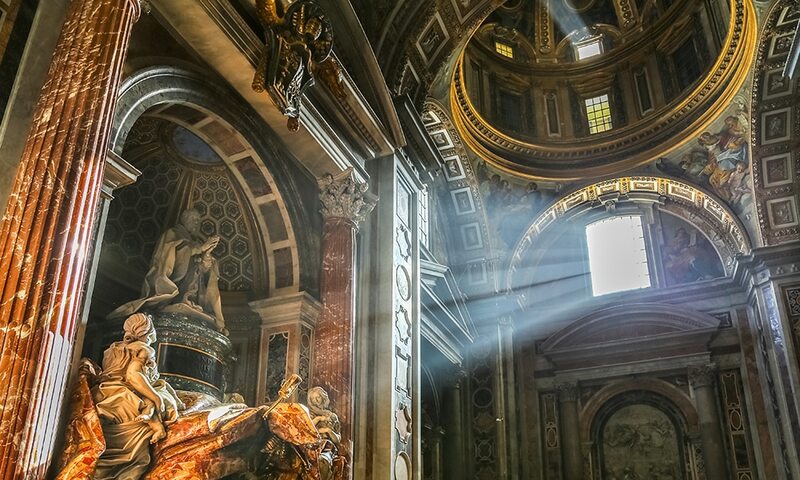 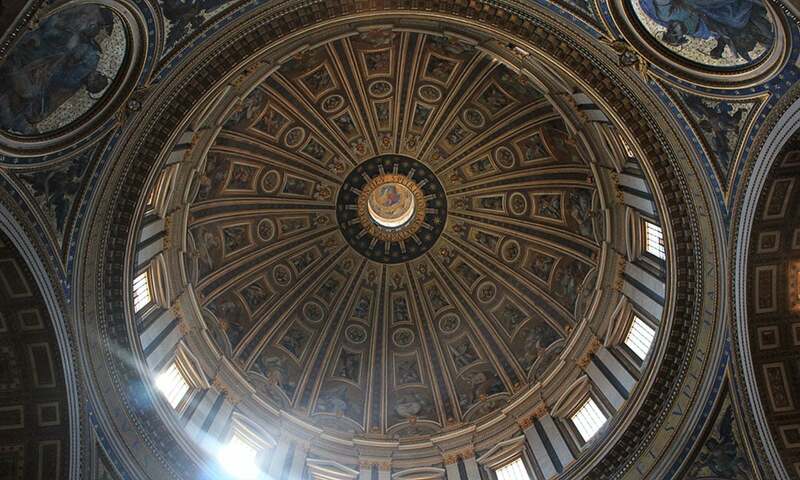 Before visiting Campo Santo, we will take a guided tour of St. Peter’s Basilica.